The August meeting was planned as a wagon-building workshop. 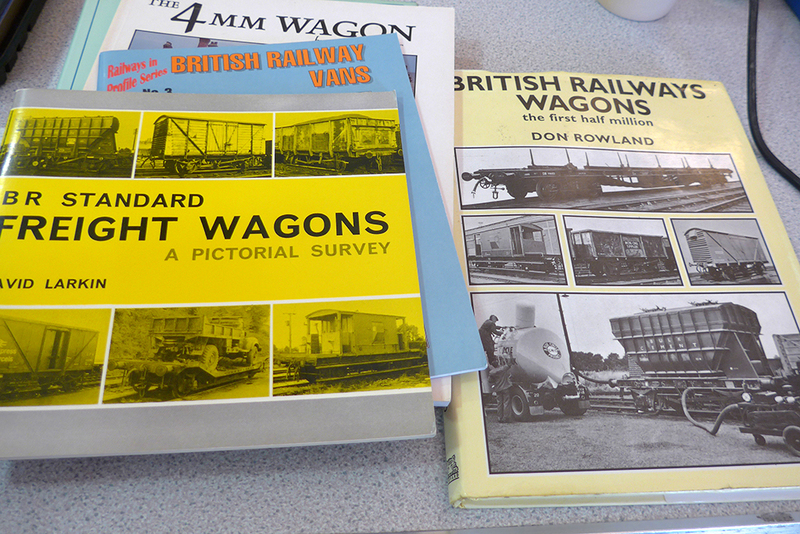 The intention was for members to build some wagons to populate the layout, reducing reliance on the stockboxes of Keith and Alan S - in time for the forthcoming (October) Wilmington Exhibition if possible. 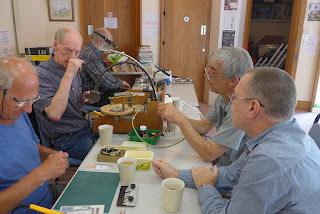 Keith started with a general introduction, suggesting source books for building techniques and prototype information, drawings and pictures. 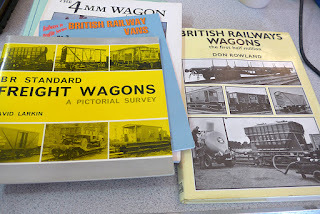 He then went step-by-step through his suggested method of construction, specifically for a BR standard van, with numerous tips and suggested tools/jigs. 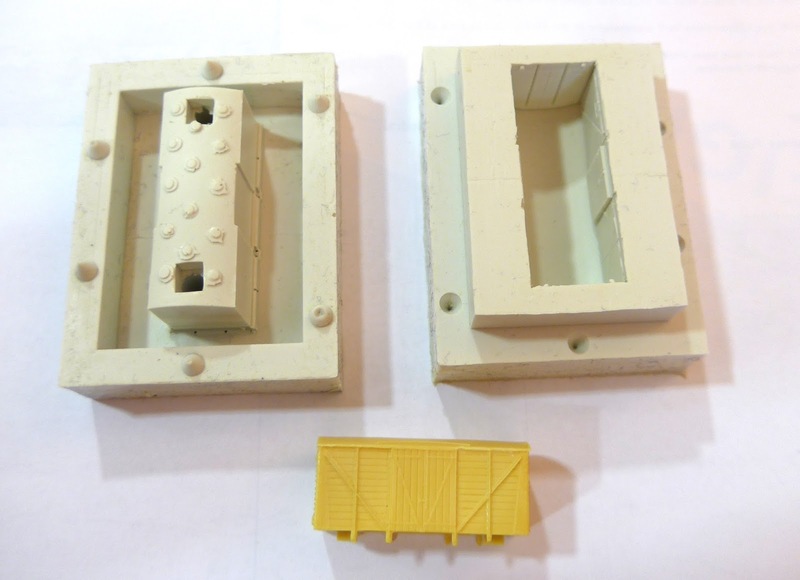 He showed off some of his collection of cast resin wagon bodies, and distributed van bodies to be mounted on the underframes being built. He also recommended the use of self-cast axleboxes, rather than the fold-up etched ones in the kits. All the would-be builders were far too interested in this talk to make much progress on building their own wagons, but went away full of enthusiasm and good intentions to have something ready for the next meeting. The layout lay untouched, though Alan S had some progress on the warehouse to demonstrate.